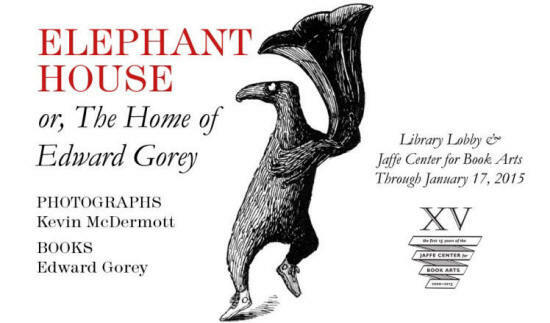 Relatively few people had the opportunity to visit the enigmatic Edward Gorey in his home, and among those who did, even fewer were permitted to see the entire house. Although Gorey was a kind and openhearted man, he was also a private man, usually preferring the company of his cats to that of his two-legged acquaintances. As is true for most of us, our environments reveal much about who we are. 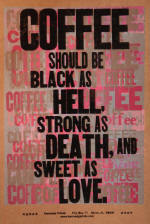 That is certainly the case with Edward Gorey. 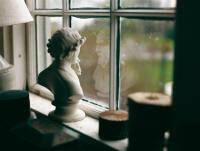 His house in Yarmouthport, Massachusetts, on Cape Cod, was filled with his multifarious collections of objects, from books and bottles to finials and rings, stuffed animals and rocks. He arranged his clutter in an order that made sense only to him. 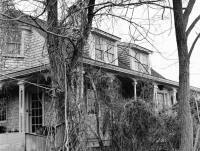 Kevin McDermott photographed Edward Gorey’s home only a week after Gorey’s death in 2000. His photographs provide us an intimate tour of this strange and wonderful place. In this exhibition, we combine the original photographs shot by McDermott with books and ephemera chosen from the Jaffe Collection’s extensive collection of Edward Gorey works. 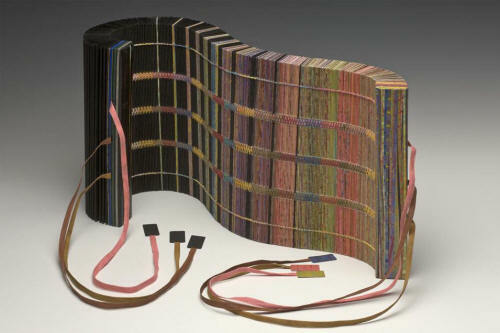 This is the first of several exhibitions over the next fifteen months that celebrate the 15th anniversary of FAU's Jaffe Center for Book Arts. Three of these exhibitions are revivals of favorites from the past fifteen years, and Elephant House is the first of them. Reduced hours once the fall semester ends: Sunday December 14: Noon to 6 PM. Monday December 15 through Friday December 19: 7:40 AM to 6 PM. Saturday and Sunday December 20 and 21: Closed. Monday December 22 and Tuesday December 23: 7:40 AM to 6 PM. Regular hours (paragraph above) resume on Friday January 2. The library will be closed Thursday and Friday, November 27 and 28, and again for Winter Break, Wednesday December 24 through Thursday January 1.